There are many concrete proposals for basic income presented by researchers as well as others interested in Sweden and the world. These may include small amounts distributed to all citizens, or models based on so-called negative income tax. The actual basic income can be a minor addition to the individual's economy, or a higher sum. Two Swedish funding models for basic income have been presented by Christian Engström and Lennart Fernström. Engström’s model for the introduction of a basic income of SEK 8333 per month is financed solely by the deduction of the current grant system and the introduction of uniform VAT. Fernström's basic income fund of SEK 13,000 / month net can be implemented by including, among other things, a tax on financial transactions. The previous amount is around the minimum for subsistence, while the latter corresponds to approximately 60 percent of the median income (net) in Sweden, which represents the poverty line in terms of income. 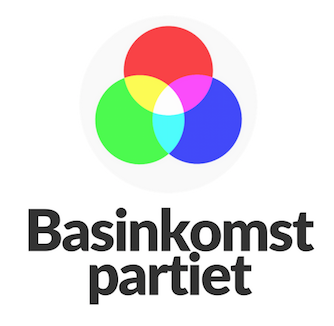 Basinkomstpartiet (The Basic Income Party) believes in basic income as a means of achieving financial basic security for all. Therefore, we work for a relatively high basic income that raises people from poverty. It is not about affording an abundance, but it should be enough to be able to achieve a decent living standard. In this way, the motivation to work is not significantly undermined, while at the same time achieving basic security in society. The goal is an economic model that achieves this basic security without reducing net income for ordinary employees in Sweden. The introduction of basic income is a long-term and big change for the whole community. It must have broad support both in Sweden's parliament and in the Swedish population. It is therefore not realistic and constructive to draw up an exact proposal in addition to the many existing proposals. Instead, we undertake to let the Riksdagens Utredningstjänst (the Parliament Investigation Service), which has the necessary resources, to conduct an independent investigation into how basic income can be introduced (gradually) in Sweden. At the same time, we are working for a launch of Swedish pilot projects on basic income, and in the long run for the implementation of basic income in Sweden.